I am super excited to have my friend Ginny from Vegan in the Freezer guest post today. Some of you may already follow her and know that her recipes are amazing and also very easy! 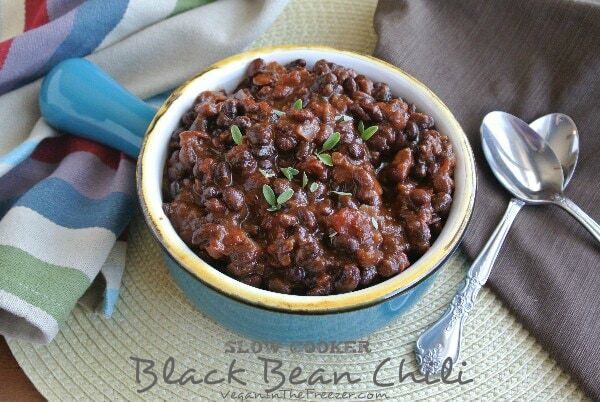 She is sharing her Slow Cooker Black Bean Chili with you today. One can never have too many slow cooker recipes right? So here you go! 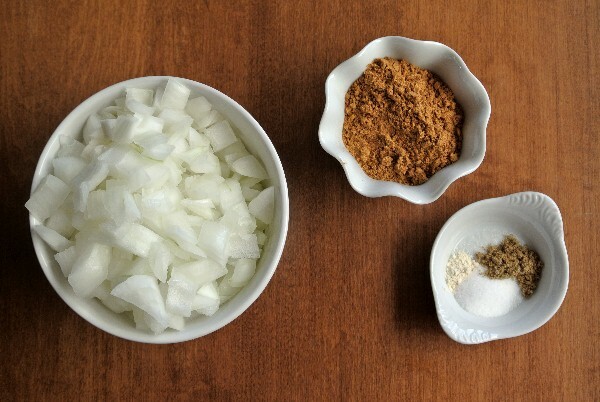 Do you want a great tasting slow cooker dinner for pennies? Something with lots of spices for all kinds of flavor? Well, Slow Cooker Black Bean Chili is it! Some days, in fact many days, it is so nice to be able to drop a mix of ingredients into a crock-pot and be on your way. In the winter it helps warm the house and in the summer you can put your slow cooker on the patio and dine al fresco. 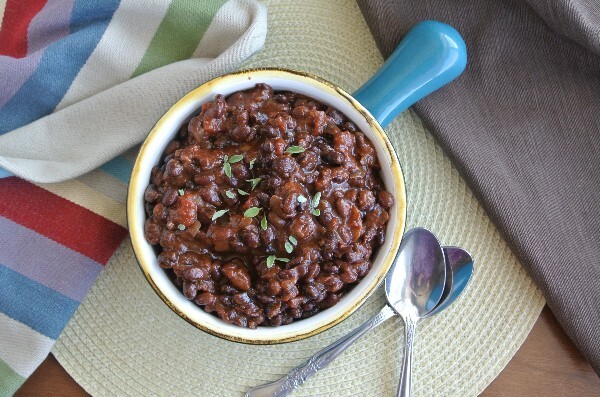 Slow Cooker Black Bean Chili! The night before put the beans in a large stock pot and cover with water by about 3 inches. The next morning, drain the beans and throw the water away. Add the onion and spices. Add the tomatoes and tomato paste and the water. Cover and turn on low and cook for 8 hours. Or if you want it faster you can cook on high for 4 hours. Ginny writes the blog Vegan in the Freezer. Follow her to get more delicious and freezer friendly meal ideas. You are so welcome Ginny! Sounds and looks delish!!! Can't wait to try it!! Yes it is a 1/4 cup. Hi, I made this yesterday using homemade diced tomatoes and kidney beans instead of the black beans. It came out delicious! I love eating healthy! Thank you for a great recipe Ginmy and Melissa! So glad you liked it! Ginny has some great recipes! I love black bean chili and I love using the crock pot in the winter, so I think this is going to have to be in my meal rotation now. Thanks for another great recipe! How many cups typically equals a pound?! I have my beans in mason jars and don't have a scale. I am going to guess 3 cups? Do you have the nutritional info on this recipe? I'm sure you could make this on the stove too. What is the baking soda for?